This entry was posted in Tollywood and tagged Adventures without subtitles, Ali, Allu Arjun, Amala Paul, Amol Rathod, Brahmi!, Bunny, Catherine Tresa, Devi Sri Prasad, Iddarammayilatho, Kecha, Nassar, Puri Jagannadh, Rao Ramesh, Shawar Ali, Srinivasa Reddy, Subbaraju, Telugu, Tollywood. Bookmark the permalink. Most of my friends who watched this agreed that this was a crap movie. Very good film. Awesome music. Specially violin sound is awesome.and fights is same as hollywood. Stunning photography.some wonderful comedy dialogues. 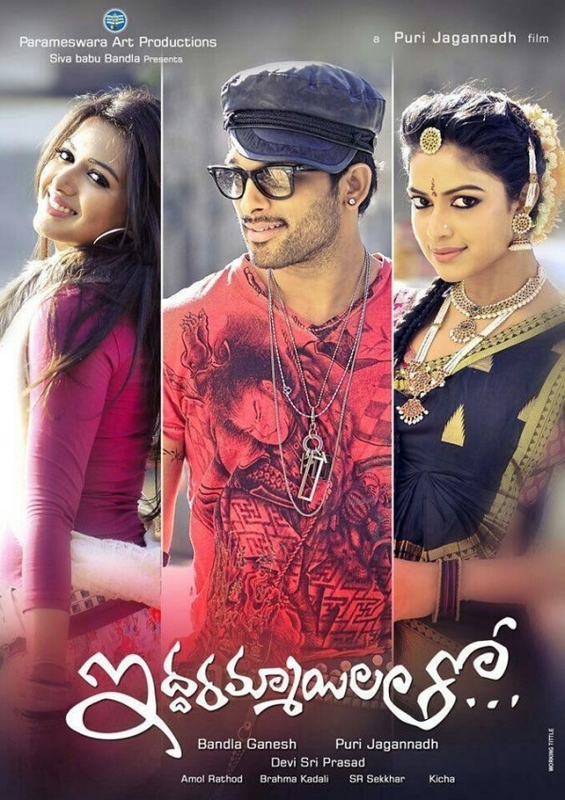 Great acting from bunny and amalapaul. This is must watch film by bunny fans. Thanks for your comment. I think this would have been a much better film if it had been set in India rather than Barcelona and developed the characters a little more. However the action scenes and the dancing were, as you say, worth watching for sure! To be fair, Bunny’s backing dancers aren’t particularly outstanding either (way too much gratuitous shimmying!) but the girls attempting classical dance are woeful! Surely the budget could have stretched to flying in some actual dancers?? I thought this went on for much longer in the cinema, but perhaps it just felt that way!! finally catching up on my long list of pending movies, saw this one today! dropped in on ur site immediately trusting you guys to review it exactly like I would.. still unable to make up my mind on which part was wrist-slash annoying..catherine’s OTTness or the eccentric supposedly comedy scenes.. wished they would edit them completely, they were sooo bad! What is akansha s mothers name ?